What springs to mind when you think about the word ‘translation’? Most likely you unconsciously associate it with the translation of a book, a magazine or perhaps a website. However, there are other types of translation work, more specialised, which should be borne in mind, like scientific translation. This is a type of translation that serves scientists and researchers in all fields of knowledge. Medicine, robotics, physics, astronomy, biology, neuroscience, zoology, psychology, ecology, anthropology, mathematics… There are almost infinite fields of science and knowledge in which research is conducted. Researchers from every country and culture work every day to increase their knowledge in order to fight disease, find new energy sources, optimise use of current technologies, improve crops, better understand the living beings around us… Scientific researchers work to improve human beings’ lives, by generating educational and informational materials for other researchers, and they need to have expert professionals in the translation industry who can translate their theoretical and practical knowledge into other languages. Over the last years, the phenomenon of globalisation has lifted the veil of secrecy that usually characterised the research industry, thus expanding its knowledge and the exchange of experiences. Sharing experiences, studies, goals, failures and successes is seen as crucial now. Information is placed at the forefront and is enriched by the contributions from scientists and experts all over the world. In this multidisciplinary, multilingual and collaborative world, a key factor plays a central role: full understanding and expression of the texts resulting from research, whether they be books, online environments, scientific journals, speeches, webinars, etc. Specialised scientific translators, who have advanced knowledge not only of languages but also of the field of knowledge on which the research focuses, have become crucial. These are the benefits you obtain when you entrust an agency specialising in life sciences with your translation. When you publish your documents in different languages, you multiply the impact of your research. You accurately convey the key points of the research project in other languages. In this way, it will be easier for you to obtain the often international funds required to continue with your project. You ensure 100% of the quality of the translated documents thanks to quality controls. Did you know that, even though English is usually the lingua franca in the scientific community, local organisations require documents to be translated into their own language(s)? When scientists receive research funds or when they sign an employment contract, most of them make a commitment to publish the results of their research periodically in one or several scientific journals. These papers are of great importance, as they create their author’s public and professional image year after year. They are also precious bits of knowledge that facilitate new researchers’ work and open up new fields and pathways for research. Until fairly recently, English used to be the only language, but the advance of emerging countries like China, India and Dubai has highlighted the need for translation into local languages. It only makes sense to think that a scientist should spend long hours in research and the support of a scientist translator should make sure that the ideas in every paper remain whole and untouched after being translated into other languages and cultures. The contractual commitments that researches take on often involve sharing the advances made in the course of their work in scientific conferences and meetings. The presentations given in these events are particularly important, as the speaker shares his or her results and ideas with the audience. Entrusting a life science language provider with experience in audiovisual and multimedia translations makes it possible to receive a multidisciplinary service in which all the processes for the creation of your multilingual message are combined: text, image, sound, voiceover, etc. 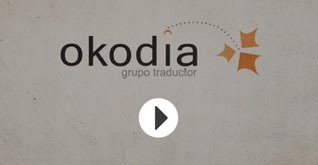 A team of native translators in the target language who have advanced knowledge of each of the scientific specialities. Previous identification and exhaustive analysis of the linguistic particularities of the topic in question. Continuous quality control in scientific translation project management and at every step of the translation process. Absolute confidentiality on the part of all the professionals involved in the translation project. Do you need a life science language provider? Get in touch. No commitment.